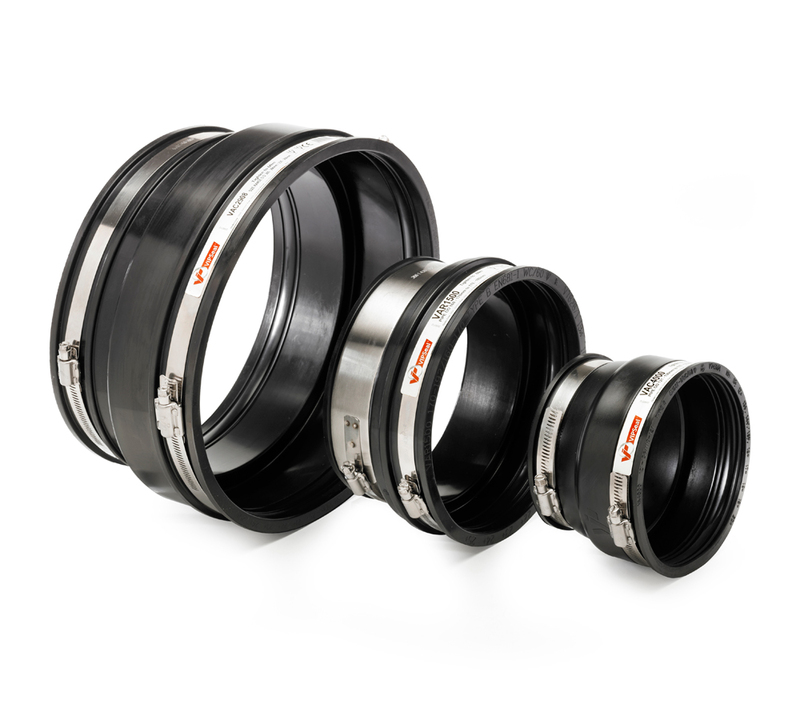 When there is a significant difference in the outside diameter of pipes VIPSeal® adaptor couplings close the gap. The adaptor couplings are step moulded and fitted with two stainless steel tension bands, providing a sealing solution that’s quick and robust. VIPSeal® VAR adaptor couplings incorporate an extra wide tension band at one end to allow a secure connection from clay pipe to structured, twin wall or ribbed plastic pipe. From cutting the pipe to achieving a complete watertight seal, our step by step walkthrough shows you exactly how to install our adaptor couplings. View all sizing options for VIPSeals® adaptor couplings in our information table.